For most customers ordering one of our products is not something that is done every day. 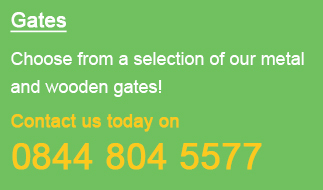 For that reason the team at Garden Gates Direct have provided the following information which is designed to give you a clear understanding of the main points to consider when ordering one of our products. Metal Products - Whilst this topic is covered in detail within the measuring guide and how to select the correct gate size page we cannot stress enough that the sizes of all the metal gates for sale on this website refer to the opening into which it will fit. This means that we have already made the required allowances for space needed for the hinges and latch. Under no circumstances do the width measurements refer to the physical width of the gate. With regards to the heights you will see that different designs have the height listed in a different manner. Physical Height - This is the total height of the item prior to installation. It does not make any allowance for ground clearances. For these kinds of installation we usually suggest allowing 2" (50mm) for clearance at the bottom so please remember to factor this in when ordering. Height (after installation) - Products displayed in this manner already include the allowance of 2" (50mm) of ground clearance. As such the physical height of the product will be around 2" (50mm) smaller than this measurement. Timber Gates - Without exception all the wooden gate sizes displayed within this website refer to the physical dimensions of the product and DO NOT refer to the opening width into which they will fit. For a single gate this is measured from the widest points. In comparison a set of double gates are measured from widest point to widest point when placed side by side touching each other. Finally with regards to the heights shown within each product description they will always refer to the physical height of the gate and as such you will need to make the necessary allowance for ground clearance. Please note that it will not be possible to reuse any existing hinge pins or fittings that you currently have in place. This is because each gate design has the hinges and latch in a slightly different position and the chance of matching a pre existing installation is extremely slim. Despite this please remember that it is often very simple to cut off any existing fittings using a grinder or hacksaw. Within each product description you will see the type of latch is detailed. Where the design makes reference to a universal latch this means the gate can be hung from either side of the opening and the latch can be fitted accordingly. In comparison where the gate design features a sliding latch this will be pre determined during manufacture therefore if you are interested in one of these designs please ensure you pay special attention to this often overlooked detail. Metal Gates - Unless specifically stated all single metal gates are supplied with a universal latch to enable it to be hinged left or right hand hanging. In addition to this they can also be set to be either inward or outward opening. Where gates are detailed with a specific hanging side it is essential this is taken into consideration prior to ordering. Please note that when doing this we always refer to the hanging side as viewed from the front face of the gate / road side. If you are in any doubt or need the hinges on the opposite side please contact us for assistance. 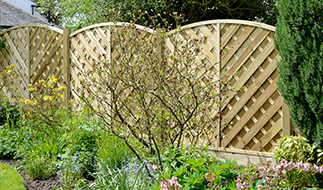 Timber Gates - All single wooden gates are designed to be right hand hanging when viewed from the front face. Please ensure this is taken into consideration as the diagonal bracing will be fitted accordingly and whilst this does not mean the gate cannot be installed, it does mean it may start to sag over time especially for larger sizes. Whilst some of the product images show metal posts it is essential to note that these are purely marketing images and should such items be required they must be purchased separately by clicking here. We offer a large selection of our products in bespoke sizes. Should this be of interest please contact us for more information or read the page on made to measure gates, fencing & railings.